I’ve always wondered how I would fair if ever I found myself in the Den. I’d like to think that I would be able to deliver a reasonable presentation but in reality, I would be a nervous wreck! It’s fair to say that the Dragons have witnessed a whole range of emotions and this week’s episode was no exception. 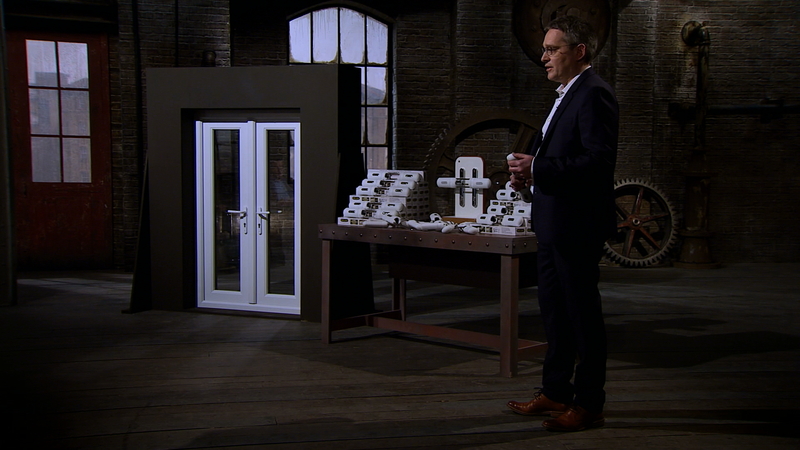 First to pitch, asking for a £90k investment in return for a 10% stake in his business ‘Patlock’, was Yorkshire based entrepreneur Craig Knott. Watching in the wings were his panel of business associates, Alan Bowman and Peter Farrar. Demonstrating the simple and easy to fit home security device for French and patio doors, it became clear that the device was developed following an attempted break in at home. This is not the first time we’ve seen a security device being pitched in the Den this series. We blogged about Phil Stratford and Roger Willems’ patented invention, the Door Jammer back in episode 9. A quick check of Espacenet, the patent database, shows that Patlock is also patented. Off to a confident start, Craig was handling the situation well. But Peter was quick to see through things by suggesting that the gadget would provide little protection if the glass became smashed. Further cracks began to appear when it was revealed that through deliberate overpricing of the product on ‘Patlock’s’ website, customers were being deflected away to competitor sites who were selling it cheaper because of their ability to place mass orders. Asking the Dragons to put themselves in his shoes resulted in a ferocious finger shake from Deborah, which was enough to close the door on any business proposal. The final tasty proposal in the Den this week, came from Andrew Watmuff; one half of business partnership Watmuff and Beckett. 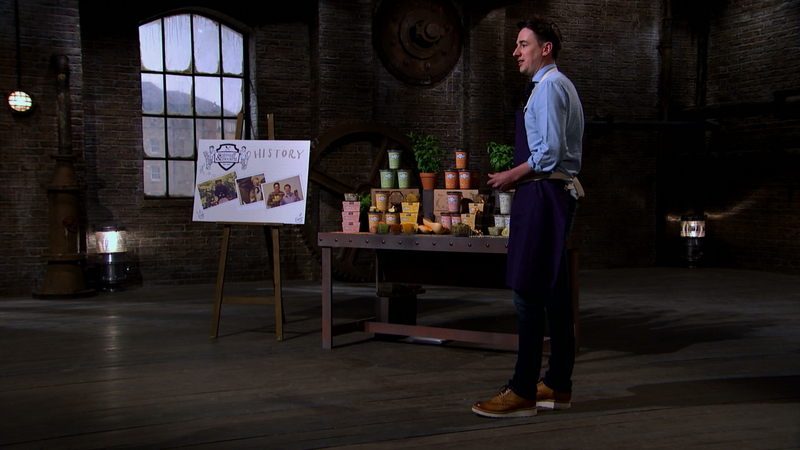 After tickling their taste buds with some delicious samples, Andrew’s (serving) suggestion proposed a 10% stake of the gourmet soup brand in return for a £75k investment. Already supplying to a medley of supermarket chains including Asda and Ocado, figures and sales forecasts made for a mouth-watering read. But Peter felt that their brand name would be more suited to a clothing label rather than a soup one and suggested that the pair consider a re-brand which was less of ‘a mouthful’. Andrew’s passion for his product was clear. With no artificial ingredients or preservatives, their range of soups and risottos use high quality vegetables sourced from strong relationships with UK producers. He was proud to add that their pea and mint soup was ‘Red Tractor assured’ - the first ‘Red Tractor’ chilled soup in the UK. Nick was intrigued to find out what this meant. Displaying the ‘Red Tractor’ quality logo ensures that that product meets a comprehensive set of standards. These standards cover traceability, food safety and hygiene, animal welfare and environmental protection. A quick search of the trade mark register revealed that this particular mark is a certification mark. Using a logo such as this guarantees to the public that the goods and services bearing the mark meet a certain defined standard or have a particular characteristic. The mark owner will specify those characteristics and will authorise the use of the mark to anyone who can show that the goods or services for which it will be used have reached those standards or possess that quality. Trade marks such as this are usually registered in the name of trade associations, government departments, technical institutions or similar bodies. The Fairtrade logo is another example of a certification mark. Products that display this mark are sourced from producers in developing countries and have to meet international Fairtrade standards. Their goal is to help these producers achieve better trading conditions, prices and working conditions. Alas, the Dragons were not convinced and they began to declare themselves out. Only Nick was left. He understood their story and felt that this was being undersold. An offer on the table, but not for the percentage requested. Due to the amount of work he felt the brand needed to take it forward, Nick wanted a bigger slice of the pie at 20%. Wishing to negotiate something a bit more bite sized, Andrew asked Nick to consider selling 10% of the business back on the agreement that his targets were met. Handshakes were completed and Watmuff couldn’t wait to go and tell Beckett that a divine deal had been secured.